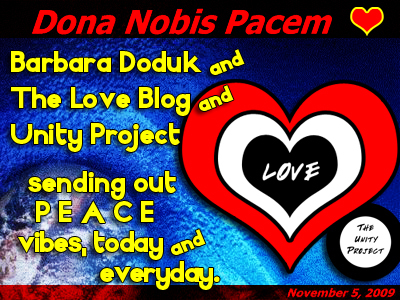 Please visit the Official Gallery @ Peace Globe Gallery to view all the submitted globes. (Have you signed the 'Mr Linky' at Mimi's? Unity Sask, originally uploaded by Barbara.Doduk. This box was my grandmother's. It is from Unity, Sask. Canada. As you can see from the front label. 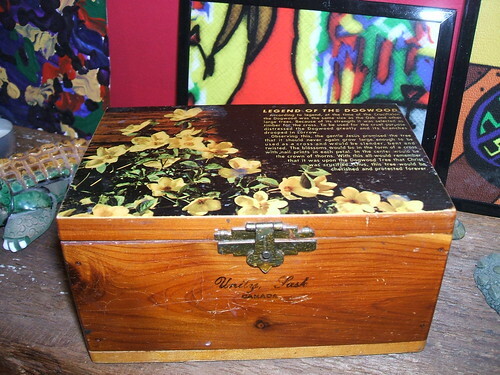 The top of the box explains the Legend of Dogwood, how it was the wood used for the cross that Jesus carried to his crucifixion. 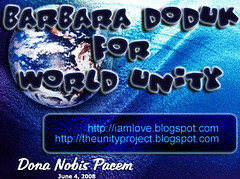 Thank You for Unity, originally uploaded by Barbara.Doduk. 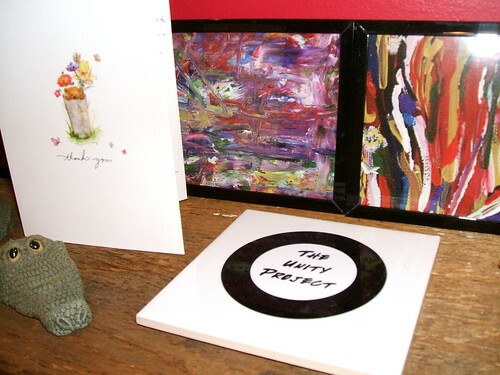 My fireplace mantel, showing my artwork, my coaster featuring Unity Project logo, made on CafePress. As well as my gator collection item, and a thank you card from Holly. 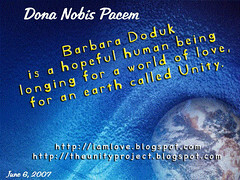 A Reminder of Unity, originally uploaded by Barbara.Doduk. 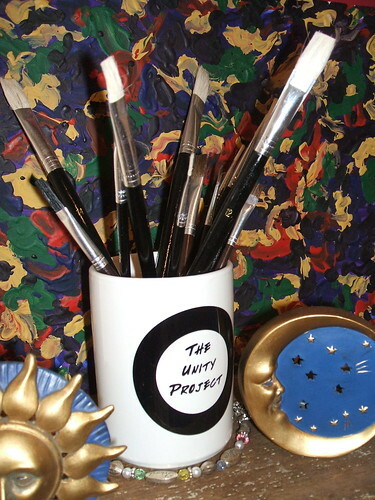 A photo of my fireplace mantel, my paint brushes waiting for the day I can paint again, stored in my Unity Project mug, made on CafePress. 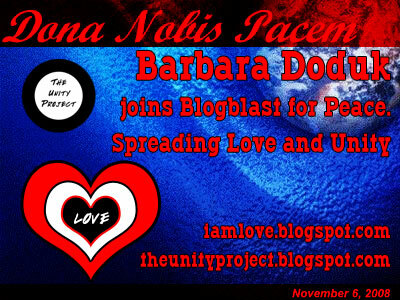 Unity Day - painters get their feet dirty, originally uploaded by Alicia Yeah. 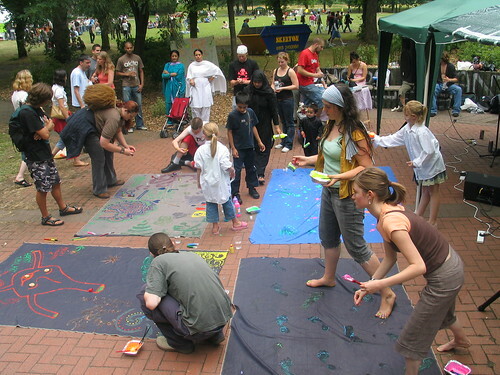 In 2006 the Broken Biscuits group were given a slot in the performance tent at Unity Day in Woodhouse Moor, Hyde Park, Leeds. Fort Unity, originally uploaded by thwaak. In the wastes of Kafornia, exists a small band of people, picking up the pieces of civilization, and making a go at it once more, with the construction of Fort Unity: A place of safety in a violent world.